Over the last decade, countless words have been written about the figure of Abu Mus’ab al-Suri, focusing on his magnum opus, Da‘wat al-muqawama al-islamiyya al-‘alamiyya (The Global Islamic Resistance Call) and its influence on the “third generation” of jihadists. How can his legacy be conceptualized? Who is Abu Mus’ab al-Suri? Mustafa bin ‘Abd al-Qadir Setmariam Nasar – also known as ‘Umar ‘Abd al-Hakim, or, more commonly, Abu Mus’ab al-Suri – was born in Aleppo, Syria in 1958. As a young man, he was drawn to the Syrian Muslim Brotherhood and its radical offshoot Fighting Vanguard (al-tali‘a al-muqatila) and took part in the uprising against the regime of Hafez al-Assad. The government’s harsh crackdown culminated in the 1982 Hama massacre and the defeat of the insurgency. This setback prompted al-Suri to critically assess the reasons for the failure. To this end, in the following years he penned Al-thawra al-islamiyya al-jihadiyya fi Suria (The Islamic Jihadist Revolution in Syria). He also traveled extensively in those years – first to Saudi Arabia; then Europe, and then Afghanistan, where he met the Afghan jihadist leader Abdullah Azzam and Osama bin Laden. 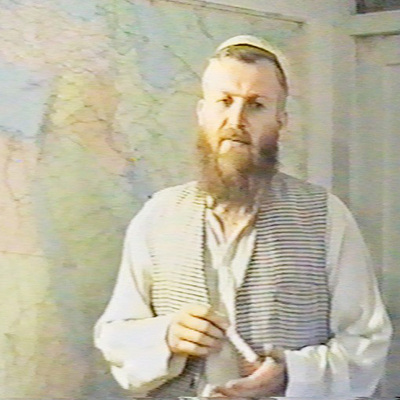 In the early 1990s, he made his way to Europe once more, moving to Spain and then London, where he worked with Abu Qatada al-Filistini at al-Ansar, a propaganda arm of the Algerian jihadist group GIA. In 1996, he returned to Afghanistan, where the Taliban were in the ascendant. After the US-led invasion in 2001, information on al-Suri became increasingly fragmentary. According to reports, he fled Afghanistan and was subsequently apprehended in Quetta, Pakistan and handed over to the Syrian authorities. After the outbreak of the Syrian uprising, there were rumors that al-Suri had been released, but his actual fate is shrouded in mystery to this day. Al-Suri is best known for his major work: a 1,600-page treatise titled Da‘wat al-muqawama al-islamiyya al-‘alamiyya (The Global Islamic Resistance Call), published in 2004. Al-Suri’s originality does not lie in his doctrinal premises – he embraces many well-established tenets shared by other prominent jihadists, such as the duty to fight tawaghit and Western invaders. Instead, he stands out for the approach he proposes. He can be better understood as a strategist rather than a doctrinarian, more concerned with avoiding past operational mistakes than with ideological orthodoxy. With his contributions, he ushered in a new genre within jihadist literature – jihadist strategic studies. In Da’wat al-muqawama, al-Suri critically analyzed the modi operandi employed by jihadist groups in previous decades in order to probe their effectiveness. The first modus operandi, characterized by secret organizations (tanzimat) with a hierarchical structure, was deemed a failure. During the 1990s, such organizations were crushed by government crackdowns in several countries, most notably in Egypt and Algeria. What’s more, he argued, over the recent decades, and especially in the wake of 9/11, the tanzimat enjoyed less and less leeway. By contrast, other approaches, such as directly confronting the enemy on open fronts (jihad al-jabahat al-maftuah), as seen in Bosnia or in Afghanistan, or waging individual jihad (al-jihad al-fardi), proved to be more successful, at least in some military and security respects. Jihad al-jabahat al-maftuah and al-jihad al-fardi were seen by al-Suri as interdependent strategies. As the post-9/11 context made it difficult to take advantage of open fronts, especially in the face of the enemies’ military and technological power, jihadist supporters were urged to adopt a decentralized approach, engaging in individual acts of terrorism or operating within autonomous cells, in tune with the formula nizam, la tanzim (“system, not organization”). Al-jihad al-fardi, al-Suri contended, delivered advantages from a security point of view, enabling militants to avoid the authorities’ radar. Eventually, endeavors by autonomous individuals would help to open new fronts, thus reviving the open-front jihad. The Post-9/11 Landscape: al-Suri’s Hallmark? Over the 2000s, a number changes were seen in the jihadist operational landscape, some of them seemingly in line with the vision of al-Suri. The “centralized”, top-down attacks carried out by an organized and directed group of militants, such as the 9/11 attacks, were no longer the sole paradigm. That trend did continue, but there were also less centralized attacks with looser links to the group leadership. Indeed, one can see different plots and attacks as parts of a spectrum, with 9/11-style attacks at one end, practically autonomous attacks at the opposite end, and countless combinations in-between. A key decentralization trend, in particular from 2008 onwards, is the rise of single-actor terrorism. Between 2001 and 2007, single actors accounted for just 12% of foiled, failed, and “successful” jihadist plots in Western Europe. Between 2008-2013, the proportion jumped to 38%, and a further increase was witnessed in the following period. A range of factors can be singled out to explain these developments. First of all, actual operational circumstances – just think of counter-terrorism operations and the way they impact jihadist networks – may play a role. Similarly, the inspired emulation effect may contribute to an increase in solo attacks. But we must also take into account the influence of ideologues advocating this modus operandi, such as al-Suri. He was far from alone – many other contributions aimed at triggering single-actor operations popped up, including calls by Osama bin Laden, Abu Yahya al-Libi, and Abu Jihad al-Masri, who wrote How To Fight Alone). Last but not least, we should remember the influence of the Yemeni-American militant Anwar al-Awlaki, a key figure in al-Qaeda in the Arabian Peninsula (AQAP), and the AQAP magazine Inspire. It featured translations of excerpts from Dawat al-muqawama and a section called “Open Source Jihad” to incite readers to commit do-it-yourself acts of terrorism. If the emergence of decentralized attacks and single-actor terrorism alike seem to validate the scenario envisioned and pursued by al-Suri, the question arises of what come first – ideology or operational developments? While it is true that al-Suri wrote Dawat al-muqawama more than ten years ago, which is precisely why he is frequently portrayed as the “spiritual father” of decentralized jihad, it may be better to see ideology and operational developments as part of an interdependent cycle. Ideology impinges on the operational landscape, encouraging players to adapt to new conditions and make certain strategic choices, such as operating in a less centralized fashion. Likewise, certain operational circumstances, such as a less permissive environment for terrorist groups, spur the emergence of new ideological and strategic paradigms alongside the revival of already existent theories. This may well be the case with al-Suri: the persistence of a less conducive environment might have contributed to the “rediscovery” and “popularization” of his thought. With the ascent of the self-proclaimed Islamic State (IS) and the wave of attacks all over the world in recent years, debates on the legacy of al-Suri have multiplied. A number of studies and articles have examined the possible impact of al-Suri’s ideas on IS strategic thinking, suggesting a link between the two, emphasizing issues such as attacks involving “virtual planners”, and noting indirect references to al-Suri’s strategy in Dabiq. While al-Suri’s blueprint for decentralization may have had – and still have – an impact on militant actors across the jihadist galaxy, regardless of their formal affiliation to al-Qaeda or IS, other questions should be addressed too. In particular, the terms of the current debate, mainly focused on al-Suri’s potential impact on IS, might end up overshadowing other important issues, creating the risk of favoring a partial interpretation or even a misinterpretation of his thinking. Seeing al-Suri as a mere forerunner of IS risks eclipsing his influence on other militant Islamist groups, especially those gravitating around al-Qaeda. There is plenty of food for thought. Given his involvement in the Islamist revolt in Syria in the late 1970s and early 1980s, one wonders whether some of his teachings have been borrowed by today’s militant Islamist players in Syria. This does seem to have happened, at least in a few cases. For example, al-Suri’s earlier treatise Al-Thawra al-islamiyya al-jihadiyya fi Suria emphasized the need for militants to entrench themselves within local communities, winning hearts and minds by providing services, enforcing order, and avoiding being perceived as extremists. This precisely mirrors what Jabhat al-Nusra (JAN) sought to do at the beginning, embracing a “long game” strategy. What’s more, Sami al-Uraidi, at the time a top JAN cleric, explicitly acknowledged the influence of al-Suri’s teachings. Other key figures operating in the Syrian Islamist scene, such as Abu Khalid al-Shami, co-founder of Ahrar al-Sham, who endeavored to unite various Islamist organizations and reduce infighting, seem to be familiar with this tradition. In conclusion, al-Suri’s vision cannot be investigated through one-dimensional lenses. If it is true that several aspects have already been researched in depth, it should be also kept in mind that other facets deserve further study in order to gain a balanced and comprehensive understanding of his thought and to avoid oversimplifications. How does al-Suri position himself in the current jihadist galaxy? What can be said of his influence on al-Qaeda-inspired militants and on the Syrian Islamist landscape as a whole? Only by answering these questions it will be possible to fully understand how his views continue to be relevant today. Tawaghit (singular taghut) literally means ‘idols’. This phrase is often used by militant Islamists to refer to Muslim rulers. For instance, he did not shy away from fully supporting Mullah Omar and the Taliban, while some ‘purist’ militants nurtured a few reservations, viewing them as unorthodox. Excerpts of al-Suri, A. M. (2004) The Global Islamic Resistance Call [Translation of Da‘wat al-muqawama al-islamiyya al-‘alamiyya]. In Lia, B. (2007), cit. Nesser, P. (2012). ‘Research note: single actor terrorism: scope, characteristics and explanations’. Perspectives on Terrorism, 6(6); Nesser, P., & Stenersen, A. (2014). ‘The modus operandi of jihadi terrorists in Europe’. Perspectives on terrorism, 8(6); Nesser, P., Stenersen, A., & Oftedal, E. (2016). ‘Jihadi Terrorism in Europe: The IS-Effect’. Perspectives on Terrorism, 10(6). Nesser, P., & Stenersen, A. (2014). Cit. ; Nesser, P., Stenersen, A., & Oftedal, E. (2016), cit. See Nesser, P. (2012), cit. ; Bakker, E. and B. de Graaf (2010). ‘Lone Wolves: How to Prevent this Phenomenon?’. The International Centre for Counter-Terrorism – The Hague 1, no. 2. Among others Rej, A. (2016). ‘The Strategist: How Abu Mus’ab al-Suri Inspired ISIS’. ORF Occasional Paper, Observer Research Foundation (ORF). ‘Virtual planners’ are militants remotely guiding attacks from afar. See Callimachi, R. (2017). ‘Not ‘Lone Wolves’ After All: How ISIS Guides World’s Terror Plots From Afar’. The New York Times, February 4. Available at: https://www.nytimes.com/2017/02/04/world/asia/isis-messaging-app-terror-plot.html; Gartenstein-Ross, D. & Blackman, M. (2017). ‘ISIL’s Virtual Planners: A Critical Terrorist Innovation’. War On the Rocks, January 4. Available at: https://warontherocks.com/2017/01/isils-virtual-planners-a-critical-terrorist-innovation/. Ryan, M. W. S. (2014). ‘Dabiq: What Islamic State’s New Magazine Tells Us about Their Strategic Direction, Recruitment Patterns and Guerrilla Doctrine’. The Jamestown Foundation, August 1. Available at: https://jamestown.org/program/hot-issue-dabiq-what-islamic-states-new-magazine-tells-us-about-their-strategic-direction-recruitment-patterns-and-guerrilla-doctrine/. On the issue of ‘misinterpreting’ al-Suri, see this thread on Twitter: @ToreRHamming (Tore Hamming) et al., ‘Just finished re-reading Naji’s idarat al-tawahhush and Suri’s chapter on military/organizational strategy and to me there is written al-Qaida all over both of them contrary to reports of IS being main proponents of Naji’s thinking’, Twitter, May 1, 2018. Available at: https://twitter.com/torerhamming/status/991227250241626112. Rather than seeing al-Suri (and Abu Bakr Naji, author of Idarat al-tawahhush, Eng. The Management of the Savagery) as quintessentially linked to IS ideology, the author observes that it may be more accurate to regard them as more closely associated with the al-Qaeda-inspired strain of thought. The group has experienced reshuffles and rebranding in the last few years, officially cutting its ties with al-Qaeda. It now operates as Hay’at Tahrir al-Sham (HTS). See C. Lister (2018). ‘How al-Qa‘ida Lost Control of its Syrian Affiliate: The Inside Story’. CTC Sentinel, 11(2). Hassan, H. (2013). ‘Jihadis grow more dangerous as they conquer hearts in Syria’. The National, March 6. Available at: https://www.thenational.ae/jihadis-grow-more-dangerous-as-they-conquer-hearts-in-syria-1.450481. Hassan, H. (2014). ‘A jihadist blueprint for hearts and minds is gaining traction’. The National, March 4. Available at: https://www.thenational.ae/a-jihadist-blueprint-for-hearts-and-minds-is-gaining-traction-1.473058.